Its HOT! 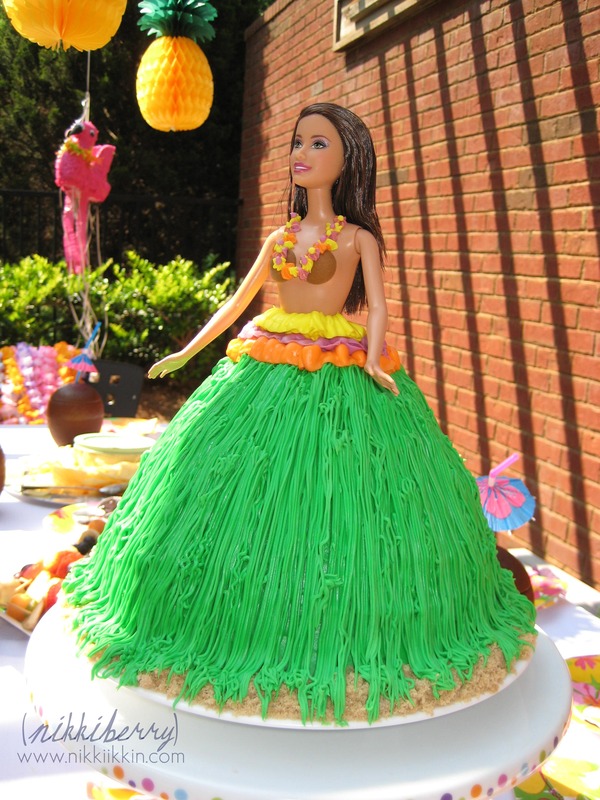 Its summer here in the city and as we begin planning Macy’s 9th birthday party I thought it would be a great time to post her 8th birthday party, Aloha! A Luau Pool Party. 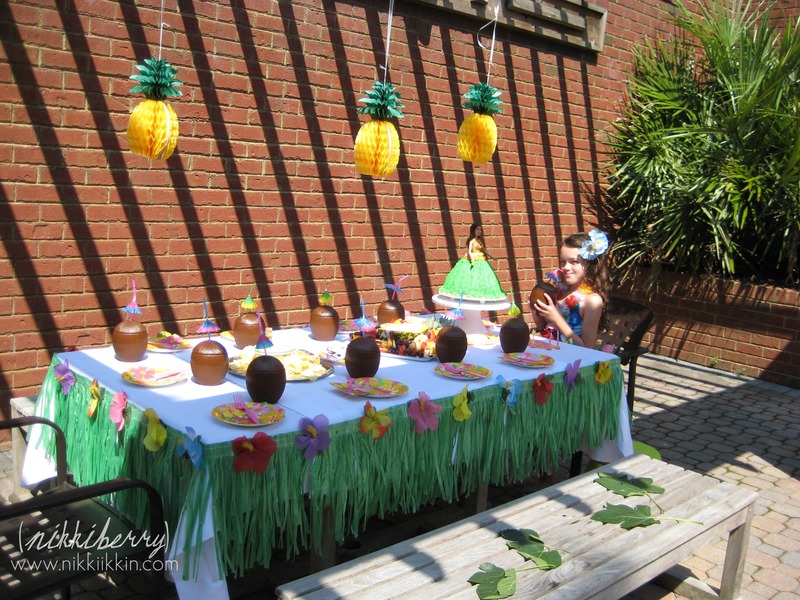 I bet there is alot of people planing a luau party this time of year, its the perfect summer theme and I hope you find ours inspiring! 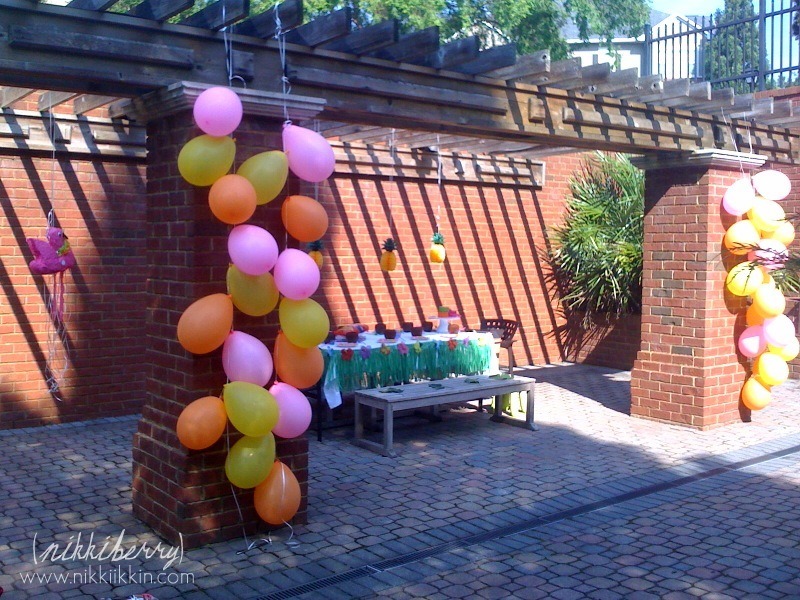 We had her party at our community pool and it was a such beautiful venue that it didnt take much to decorate. 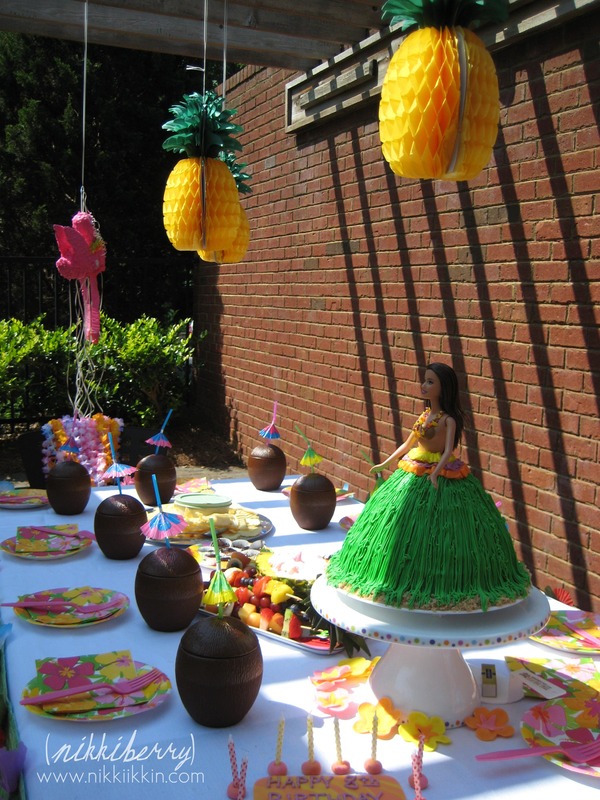 When it comes to buying party supplies, there are a lot of Luau and Hawaiian themes to choose from. I tried to keep ours simple and I was very careful to not go overboard or cheesy. 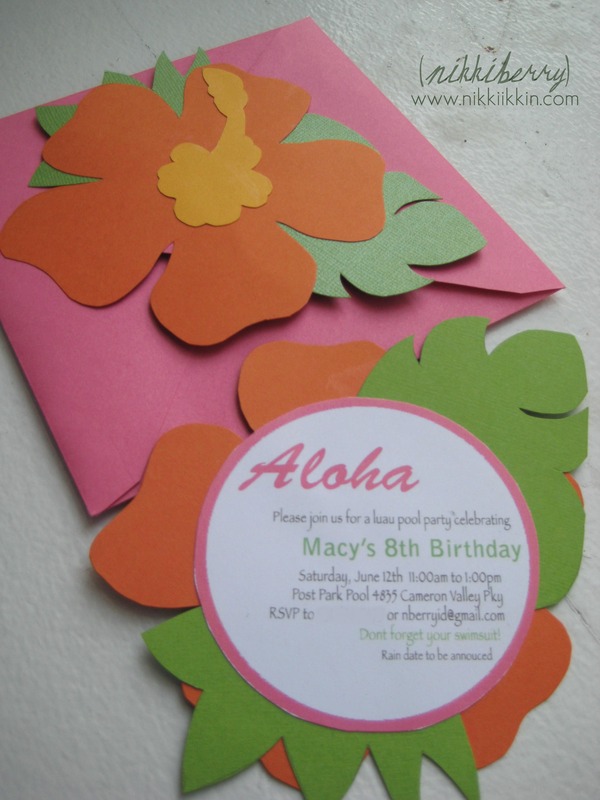 Lots of color is a given when you are do a luau, but since this was a girl’s party it was easy to add in more pink and orange to give it a focus. A few plain white tablecloths were a great investment I made a few years back and this was another party that I was glad we were able to use them. The grass table skirt was safety pined to it and because it was cloth I didnt have to worry about the weight of it tearing a plastic tablecloth. The party and favors included a lei and hibiscus hair clip and a flower printed tote to stuff with candy & treats from the pull string (the only kind I do) pink flamingo pinata. Cool treats like fresh fruit served in a half pineapple and Hawaiian Punch in a coconut shell cup was all that was needed to entertain these girls. I could hardly keep them at the table long enough to even sing happy birthday, because they were very anxious to get in the pool and just have fun.